Redecorating your bathroom can be stressful, but with careful planning, a newly decorated bathroom could be achievable. Here are a few handy hints and tips on how to get the result you want this season. It's easy to delay a project when you can't agree on a colour scheme or choice of tile, so try to make major decisions before you begin the work. 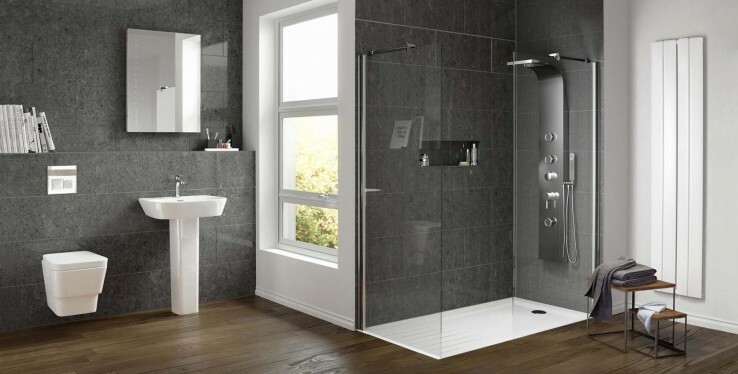 To help visualise your ideal room, find some bathroom inspiration by looking through magazines or visiting our show room. Create a timeline, detailing major events during your refurbishments, such as installations and plumbing, this will enable you to know when the bathroom will be out of use and at its messiest helping you to plan accordingly. Prioritise events and special dates in your personal calendar, so your refurbishment won't coincide. School holidays and Christmas might not be the best time to schedule a bathroom revamp. Research trustworthy and reliable contractors, who can explain the refurbishment in full, this will make life much easier and ensures your refurbishment will be finished to a high standard. Renovations can incur hidden cost but a carefully planned budget, with 10-20% extra for unforeseen problems, will help you to budget accordingly, and avoid any costly surprises. At Real Stone & Tile we can offer excellent tips for efficient and hassle-free renovations, pop in-store to speak to a member of our friendly team.